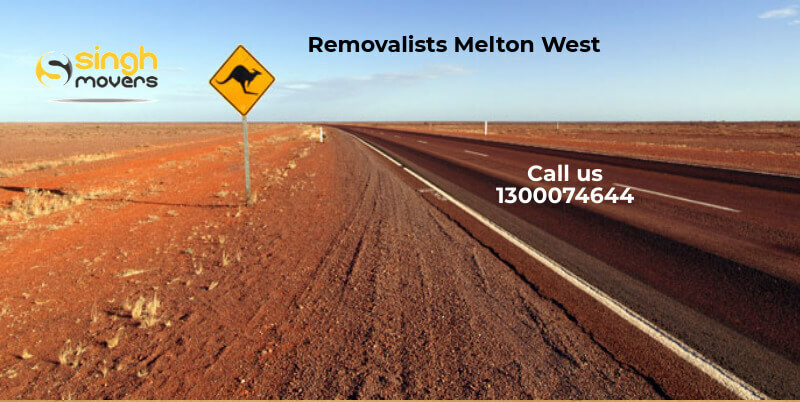 Removalists Melton West is one of the leading demands as everyone is too busy with their schedule and always wants to get things done on time. Why are we here? We, Singh Movers are here to endow you with the best and superior quality Furniture Movers service that you will never forget for your lifetime. Is moving furniture an easy task? Actually, it is not as it requires proper knowledge, tonnes of efforts and also a well trained professional team that can help you out easily in this particular job. However, many think they can do this on their own but this is not an easy job to do as it needs proper packaging, loading and unpackaging of the items you transfer to another place. You do not need to worry as we are the company who works according to the client. So, Singh Movers is available for you all guys to show their work at the most affordable price. Ask our customer care executives if you have any doubts, have a talk with our experts, set your mind, and feel free to hire us for the fabulous services. However, there are many Furniture Removalists Melton West available in this city of Melbourne who will promise you to provide you with the quality services but no one will actually provide you with the quality Furniture Removalists Melton West for all of the services like office relocation, furniture removal, storage facility etc. under one shed. Making the decisions of shifting your home is quite tough. We know that shifting the stuff requires large and heavy equipment’s. You need not worry as Singh Movers believe in providing the quality services. We will help you out in each trouble for Furniture Moving. After hiring us, we ensure you the stress-free Furniture Movers to your new place. We know that you are worried about your every item that it should get no damage. After you hire us, we are responsible for a pin to a chair’s safety. Are you in search of great helpers for this job? Are you worried in order to hire for the cheap and good Furniture Movers? We know all of your troubles and will solve each in just one call. We, Singh Movers, have happy customers to whom we have already provided services and they have recommended us to their near and dear ones as they were amazed to see our service. Our work speaks out. You pay us for the work, we pay you back for your loyalty to us. So, do not think twice to give us a buzz and get a free quote. You can compare it to any other leading FURNITURE MOVERS in Melbourne, we are giving you the best rates and best services. WHY ARE WE THE MISSING PIECE OF YOUR FURNITURE REMOVALISTS JOB? We take responsibility for small to big machinery. We know how hard the task of Furniture Removals actually is. We completely take all the possible and necessary precautions for the safety of the goods. for industrial shifting, we are always available for your service. take responsibility for small to big machinery. Once we get a confirmation call from you, we send our professional team to conduct a survey and analyse things properly. We provide you with a free quote and once you confirm us we start our Furniture Moving process. Also for industrial shifting, we are always available for your service. take responsibility for small to big machinery. Melton west is a suburb of Melbourne, Victoria, Australia which is around 40 km west of the Melbourne’s central business district located within the City of Melton which is the local government area. Melton west suburb of Melbourne recorded a population of around 17,589 in the census 2016. The postcode of this area is 3337. We know all of your troubles and will solve each in just one call. We, Singh Movers, have happy customers to whom we have already provided services and they have recommended us to their near and dear ones as they were amazed to see our service. Our work speaks out. Come to us and we will assist you in all ways.